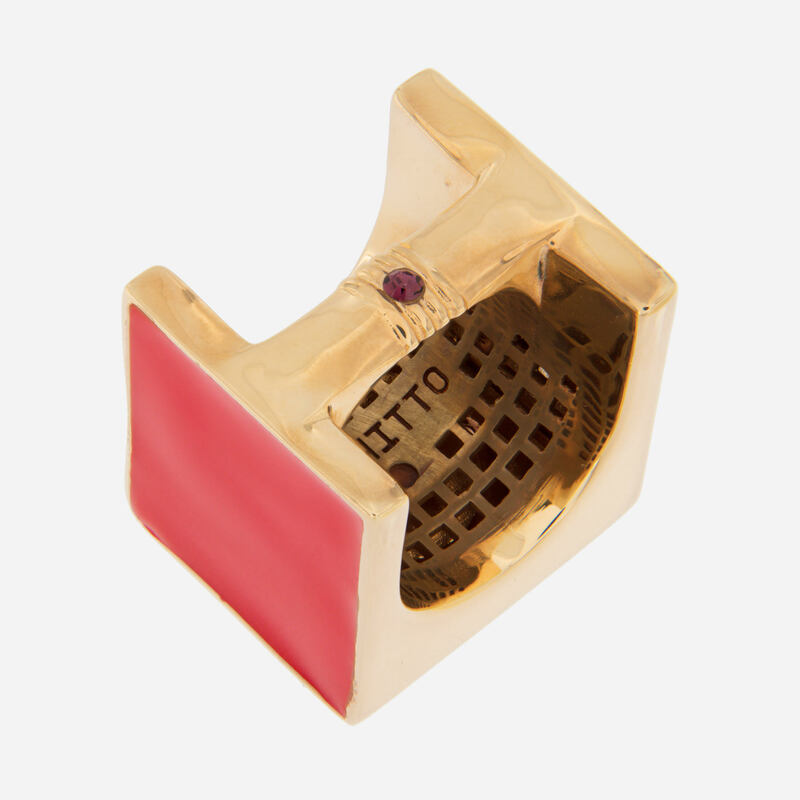 Made of yellow gold-plated bronze, this squared ring is one of the bases with patented Acchitto mechanism on which you can apply different Moors heads. It is finished on the sides by two dials of red enamel. 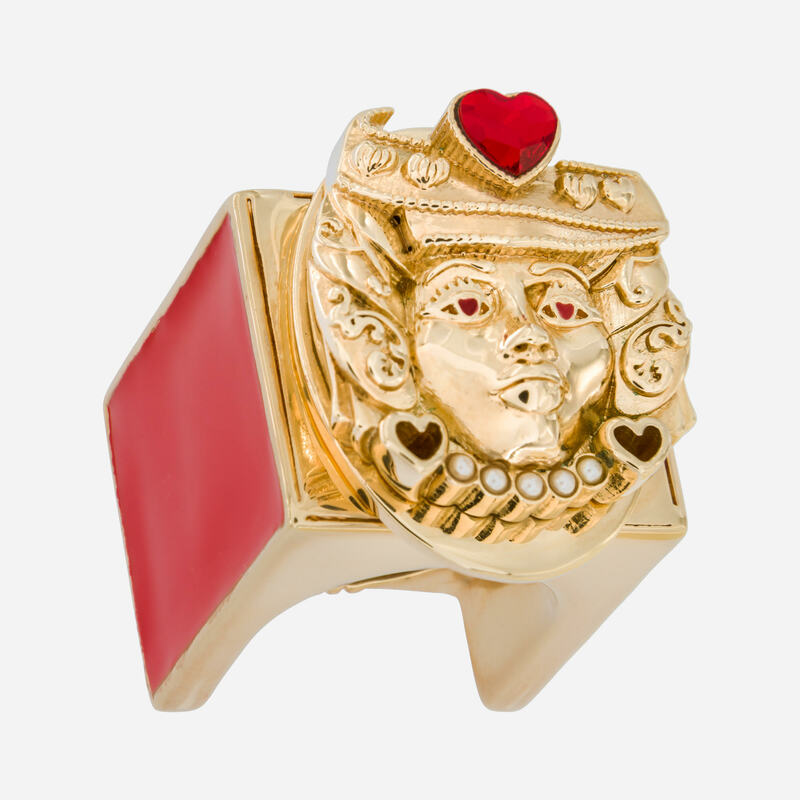 In the lower part of the ring, it presents a purple crystal emblem of identification. 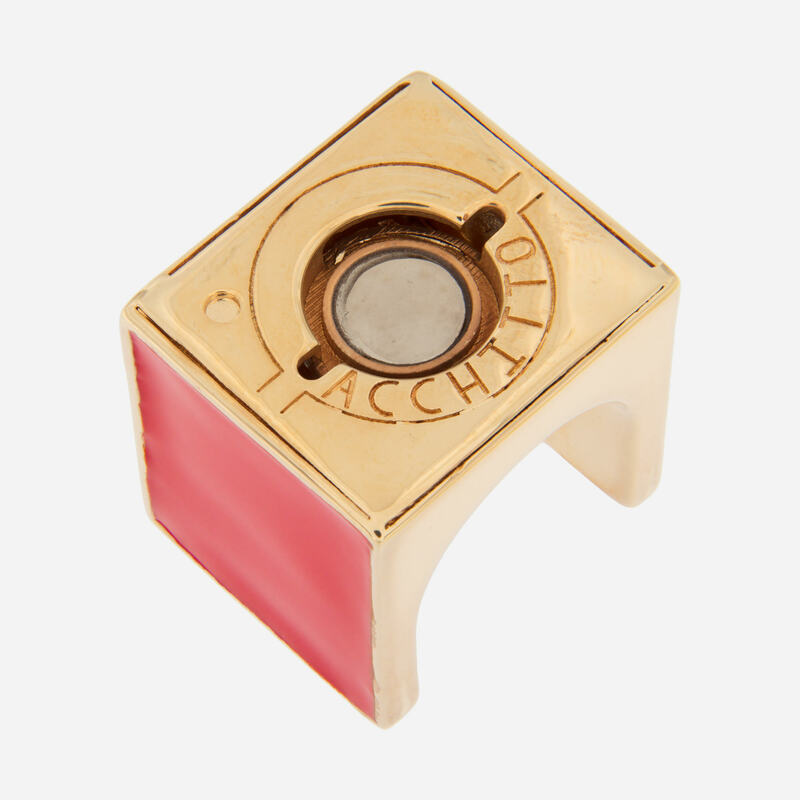 This element recalls the brand logo, a hidden detail that denotes the refinement of Acchitto's creations. The special design of this ring will leave people wanting more, stack them up with some simple rings on the side and you're good to go!